One of my granddaughter's spent the night with me, and we made these delightful spritz cookies. I had remembered reading about my bloggy buddy, Lynn's spritz cookies here, where she made Raspberry Spritz cookies. I wanted to try the recipe with some Strawberry Jello. The cookies were a huge success! Thanks Lynn, for the inspiration! This heart-shaped wooden bowl, which had been filled with succulents, was given to me last Valentine's Day from my youngest son and DIL. I've turned it into an indoor fairy garden. 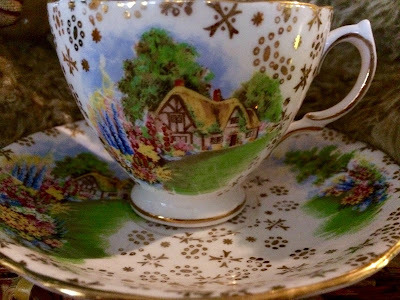 My granddaughter almost always chooses this Colclough teacup that I received from Deb, at one of Stephanie's teacup exchanges. I'm thinking that the cottage design just enchants her little heart. Here she is pouring her vanilla chai tea from my cottage girl teapot. We love to have breakfast in bed. Later, we decided to whip up a batch of cookies. Didn't my granddaughter do well? I'm sure her family was happy with the treats that she brought home. Here's a sweet note that my granddaughter left for me! This dough is a great one to use in the cookie press. My son, Mike, who doesn't like spritz cookies, loved the flavor of these! Beat butter, sugar, vanilla, egg, and Jello with mixer until combined. Add flour, and mix until just combined. Fill cookie press, form cookies on cool, ungreased cookie sheets. I actually put my cookie sheets in the freezer, as I had read somewhere that this helps with spritz cookies. Do not try to press cookies onto warm cookie sheets! Sprinkle the unbaked cookies with sparkling or colored sugar, or mini sprinkles. Bake at 400 degrees for 6-8 minutes. Cool cookies on sheet for one minute and then move to cooling racks. 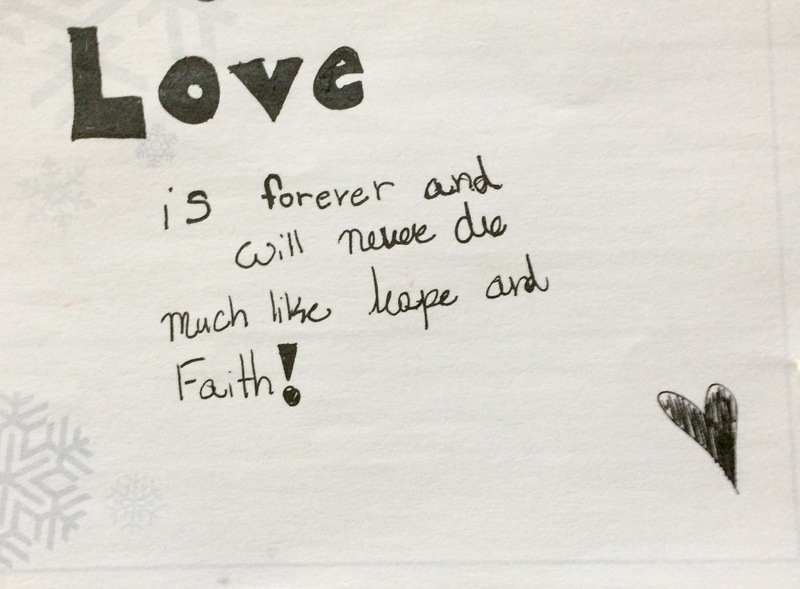 Your granddaughter is a deep thinker! 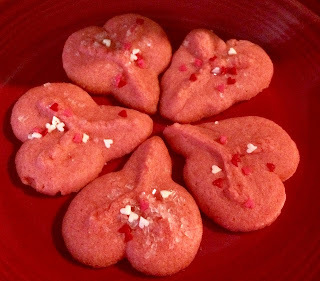 These cookies are so Valentine festive...if they are also tasty, it's a win-win. OH Kitty, what a precious post. The smile on your granddaughters face proves that the two of you had a most delightful time together, and I LOVE that you are teaching her to enjoy breakfast in bed, just so sweet. Her love note to you certainly shows forth her heart. Those cookies looks so good! She did a great job. Grandchildren are a blessing to a Grandma's heart. I've made these with some of my grandkids in years gone by. They are so pretty, and tasty, too. Thanks for the reminder! I can see why she always chooses that pretty teacup-I would too. Lovely fairy garden. Te cookie look so pretty and I'm sure are really yummy too! Isn't breakfast in bed the best! 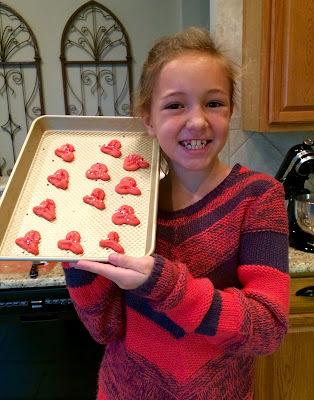 Your granddaughter is so sweet and yes she did the most wonderful job in cooking the strawberry spritz hearts...they do look yummy. LOVE the sweet teacup she always chooses. How fun to share such special times with each other. Such sweethearts! I have a similar cottage teacup and its one of my favorites too. Have a wonderful week! Kitty, this is so sweet! Your granddaughter exudes happiness when she's with you, it's so obvious! You will have Valentines for life with your grands! This is such a heart warming post. What a sweet note your granddaughter left you. She looks so happy and I know Grandmother is when her grands are around. 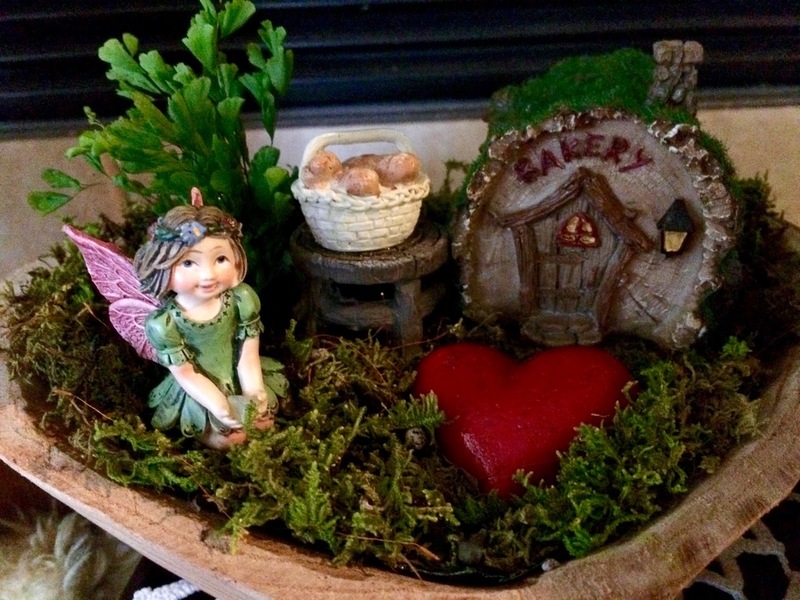 Your little indoor fairy garden is adorable in your cute vignette with the teddy bears. How sweet she has a favorite teacup to enjoy in tea in bed with the spritz heart cookies you made. Such fun at your home with your grands! How sweet that she enjoys the cottage teacup. Looks like so much fun! Your Granddaughter is so cute! I love your pretty teacups! Beautiful granddaughter and great looking cookies, too! I think the strawberry jello sounds good in these, will have to try them. I haven't used my cookie press in a while. Your granddaughter is a darling. What a sweet note she wrote. The cookies look wonderful. What a darling grandchild...she is beautiful, Kitty...she has your smile, too! I think it is wonderful that you get to spend so much time with your grands. As they get older, I see less & less of mine...too busy with extra curricular things. The cookies are delightful & you've inspired me to try them. I love my Pampered Chef cookie gun & these would be perfect for the upcoming holiday. O, what a precious little grand daughter she is! I can tell she loves her Grandma Kitty a lot! I mean, heart shaped strawberry cookies, drinking tea from a darling teacup and breakfast in bed....what's not to love, right?! And that note she left for you...oh my...just beyond precious! Kitty, what a lovely visit with your granddaughter! She looks so sweet! 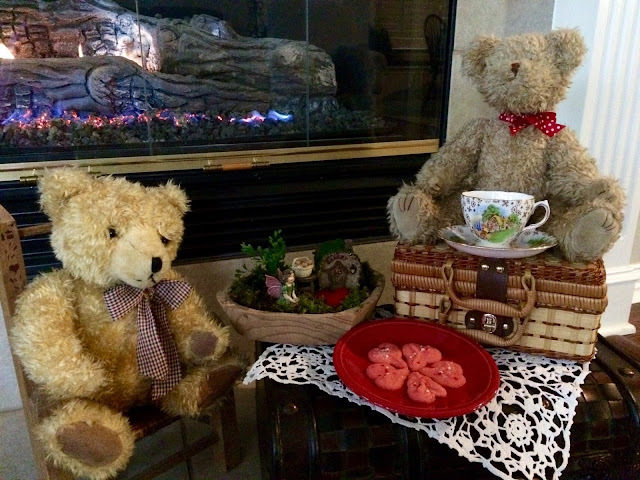 Love the bears and tea things. That teacup reminds me of Alice in Wonderland. How delightful that you had breakfast in bed with your granddaughter! Oh, what precious times and memories. Enjoy your day, sweet Kitty. Love to you. The cookies look so yummy Kitty! I need to get a cookie press. I can see why she loves that teacup so much. It is sweet! And what a precious note. Grandkids are the best!! Thanks for sharing with SYC. Kitty, pretty cookies from two pretty bakers! What a darling girl. I love the way you cook with your grands. What a sweet post. Your granddaughter must have had a wonderful time with you. Love the note and her cookies. I will be having my little grand-daughter stay overnight with us soon when her mommy goes in to have the newest little member of our family. The baby's due date is this weekend. She would like for me to make crepes for breakfast. We may give it a try. Your cookies look so pretty and delicious. How sweet for you to share a tea together. I love your bears and the fairy garden too. She is a sweetie pie. Your mini me. Love that you have breakfast in bed. So cute. What a precious Grand Daughter she is! Very Grand! Loved the posting Kitty! Kitty, your little granddaughter is just like you. What a sweetheart and how nice that you two can spend this quality time together. I'd pick that tea cup too! How wonderful to enjoy breakfast tea in bed! 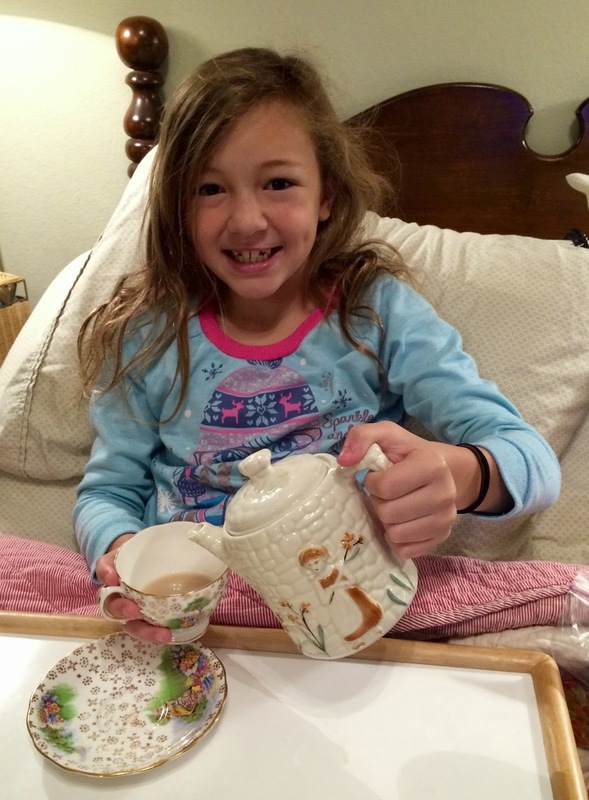 Love that precious smile on her face as she poured her tea :) Those cookies look really good too. I have never made spritz cookies. I bet they are perfect with tea! Very sweet post Kitty. Love the fairy garden. Your granddaughter is so cute. Lovely teacup and those awesome cookies are a joy to behold. Thank you for sharing your lovely post at DI&DI. How great that you have such a special relationship with your granddaughter!! 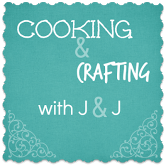 There is something about baking together that just creates a special bond. So cute Kitty, I don't know how I missed this last week, so glad you were featured at Julie's Lifestyle so I could see it!! That is one happy little girl! Oh Kitty, your Granddaughter is just precious and I love that you are teaching her about enjoying tea. Your Strawberry Hearts are perfect with such a loving touch! I really appreciate you sharing with us at Full Plate Thursday, hope you have a great day and hope to see you again soon! How adorable! What a wonderful memory you made, I cannot wait fr my millennial kids to give m grand babies now! they look so Delicious, nice sharing.